As with any dietary supplement, consult your health care practitioner before using this product, especially if you are pregnant, nursing, or are otherwise under medical supervision. Fuel your body and energize your life with the power of Bone Broth and Ancient Superfoods. 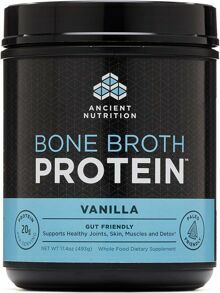 Introducing Organic Bone Broth Protein MEAL - the first full-spectrum, delicious meal replacement shake that delivers the benefits of two of today's hottest superfoods - Bone Broth and Tiger Nuts - along with 20g of protein, 7g of fiber, 21 whole food vitamins and minerals, and 3g of sugar per serving! 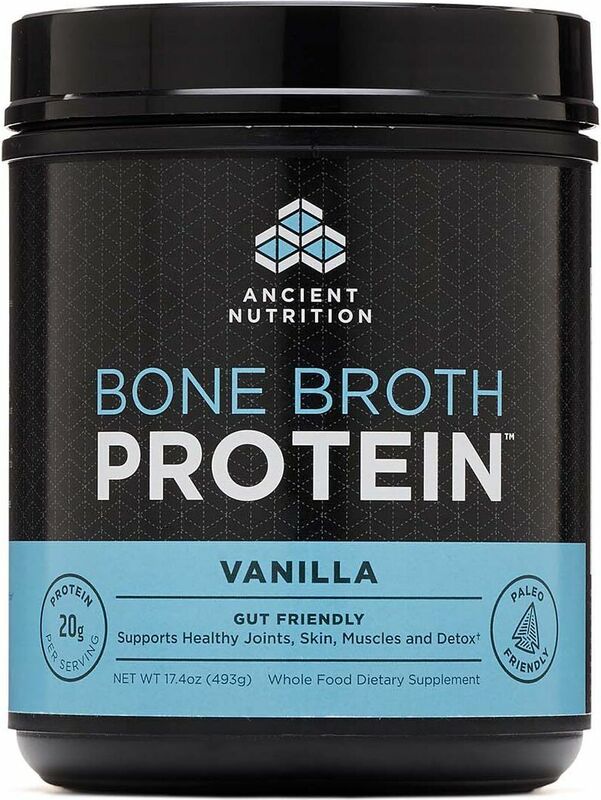 Organic Bone Broth Protein MEAL also provides a diverse offering of ancient nutrition missing from many of our modern diets, including live probiotics, prebiotics and enzymes, omega-3 fatty acids, nutrient-dense green foods and sprouts, and fermented herbs and spices. As a meal replacement, mix one heaping scoop (included) in 12 to 16 ounces of water, juice or in a smoothie or protein shake one or more times per day. Great with almond, cashew or coconut milk. Consult your healthcare practitioner before using this product, especially if you are pregnant, nursing, or are otherwise under medical supervision. Store in a cool, dry place. Do not use if product has been opened or tampered with in any way. Keep out of reach of children.